ExxonMobil and Rosneft will continue to do business as usual under new US sanctions, Igor Sechin, the CEO of Rosneft Russia’s largest oil producer said on Thursday. “We are consulting with lawyers at Exxon and preliminarily understand that the decision doesn’t affect the implementation of future projects,” Sechin said, Vesti reports. The two companies have many ongoing ventures; from offshore projects in the Kara Sea, Arctic exploration projects, the development of the Bazhenov oil field in Western Siberia, as well as plans for a Far East liquefied natural gas terminal. The sanctions stipulate that Rosneft cannot use US financial institutions for any loans over a 90-day period, but Sechin says the company has enough cash on hand to cover projects and any emergency lending. “We will minimize risks. I would like to wish that all of our companies have the financial and economic situation that we do. It allows us to implement projects long-term without involving any emergency credit lines,” Sechin said. 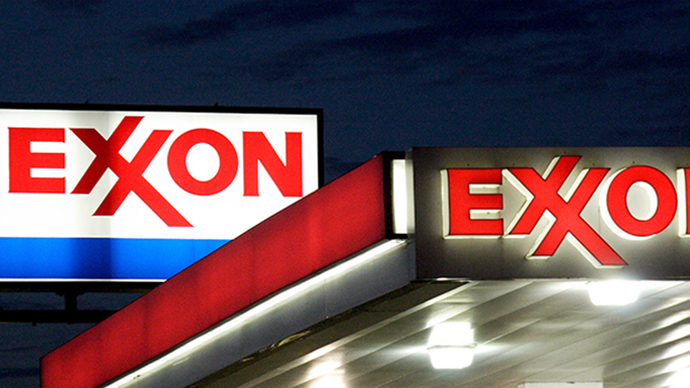 Texas-based ExxonMobil has been a partner with Rosneft for over 20 years, and previously stated that the situation in Ukraine was not disrupting business in Russia. ExxonMobil is planning a $500 billion exploration of the Bazhenov oil field in Western Siberia, and a separate Far East liquefied natural gas terminal project costing $15 billion. The project is aimed at expanding the company's influence in the East. In May, the two companies agreed on four Arctic exploration projects. The company also holds an 11.3 million acre stake in Rosneft’s Kara and Black Sea joint-venture agreements, and is also working with the Russian oil giant to explore Black Sea reserves which lie under Crimean waters. Igor Sechin, CEO of Russia’s largest oil producer, has lashed out against the newest round of US sanctions against the country, calling them “unlawful” and claiming they will cause harm to American partners. The Rosneft chief, who was placed on the US blacklist of individuals in May, maintains that sanctions will boomerang and hurt Rosneft’s American partners. 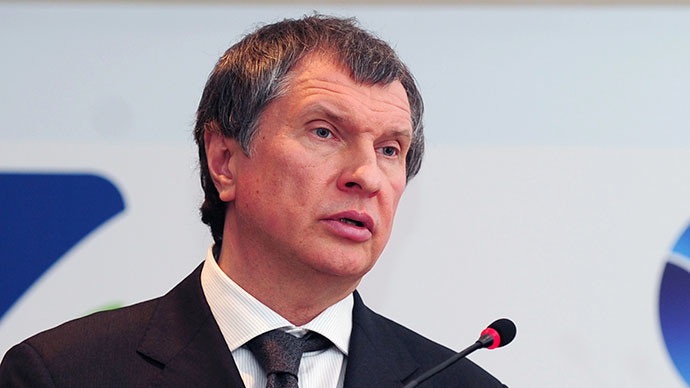 “The decision to include Rosneft on the sanctions list is unreasonable, subjective, and illegal given the company’s non-role in the Ukraine crisis,” Sechin told reporters, as quoted by ITAR-ITASS. Rosneft, the world’s largest listed oil company, is majority-owned by the Russian state. Squeezing Rosneft and other major energy companies could have dire effects on Russia’s oil exports. The new sanctions are an attempt by the US to weaken Russia’s economy, Sechin said. The Rosneft CEO said the decision to sanction Rosneft will negatively affect shareholders at Bank of America, who work on loan agreements with the Russian oil major. The targeted companies will still have access to short term loans, but will not be able to to get medium and long term loans. 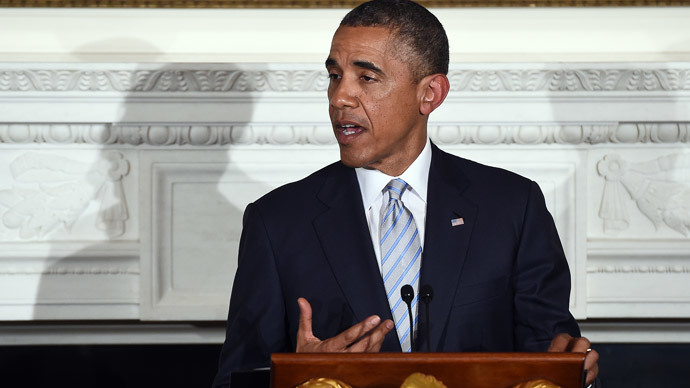 US President Obama said that the sanctions are tailored to protect American companies and only hurt Russian companies. “These sanctions could make relations between the US and the EU worse in the sense that the European economy will be impacted by any push from the US to antagonize Russia,” Nebojsa Malic, Foreign Affairs Expert, told RT. Rosneft plans to respond to the sanctions and seek legal advice on the matter in the near future. 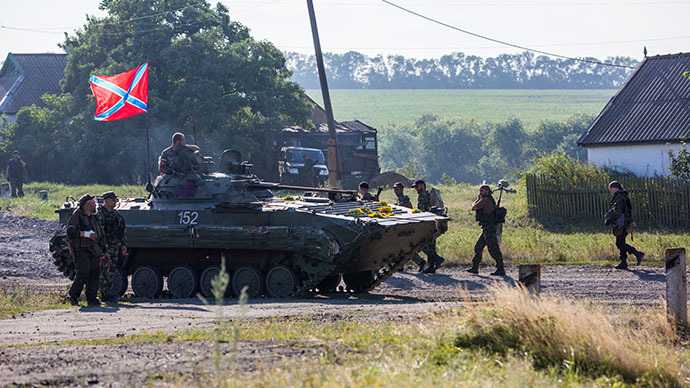 The new US sanctions target Russia’s financial and energy sectors. The EU, Canada, Japan, Australia, and other US allies have not yet followed the harder sanctions line. “The sanctions show the weakness of the US political position because you don’t see any of the US allies in Europe following along,” Eric Draitser, a geopolitical analyst, told RT. Novatek, another Russian natural gas producer now under US sanctions, may face difficulties, as it relies heavily on US technology and equipment to carry out extraction. Gazprom, the largest natural gas supplier to Europe, has so far dodged sanctions. Rosneft has strong links with both the US and UK oil industry. Rosneft has even made moves into the Western hemisphere, and owns about 30 percent of an ExxonMobil oil field in the Canadian province of Alberta. Rosneft accounts for 40 percent of Russian oil output, and also has strong partnerships with Norway’s Statoil and Italy’s Eni. At yesterday’s meeting in Brussels, EU ministers outlined possible sanctions against Russia, but didn’t enact any new measures. The group will meet again at the end of the month to discuss the issue.